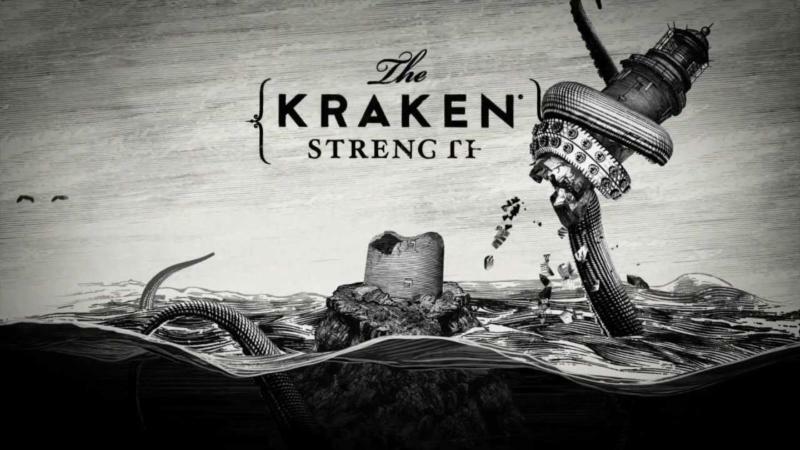 Kraken Rum was introduced in 2010. The base rum is from Barbados , distilled from naturally sweet molasses made from locally-grown sugar cane. The rum is aged 1–2 years and then blended with a mix of 11 spices, including cinnamon, ginger and clove. The liquid is black, revealing hints of brown when held up to the light. The bottle is styled after a Victorian rum bottle, with two hoop handles based on the tradition of hanging a bottle to prevent breakages. The bottle also has a black and white label featuring a drawing of a Kraken sea creature.